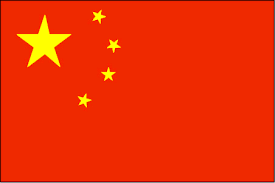 China is a major country producing and using hazardous chemicals. Unfortunately, the hazardous chemical industry is still one of the most high-risk industries in China. In recent years, especially after two devastating hazardous chemical accidents, namely “Qingdao 11.2 Crude Oil Leaking and Explosion Accident” and “Tianjin Port 8.12 Fire and Explosion Accident” which occurred in 2013 and 2015 respectively, China has attached great importance to hazardous chemical safety. The period between 2016 and 2017 is a crucial period for the future direction of hazardous chemical safety in China because China released a series of important government documents (such as ‘Thirteenth Five-Year (2016–2020) Plan for Hazardous Chemical Safety’ and ‘Comprehensive Plan for Hazardous Chemical Safety Management (December 2016–November 2019)’) to promote hazardous chemical safety in the future. What is the future development of China's hazardous chemical safety? To answer this question, this paper attempts to briefly analyze and introduce the opportunities, problems, challenges and tasks of the future of safety with hazardous chemical industrial activities in China, according to the current situation of hazardous chemical safety in China and using the latest government documents and studies. Obviously, this study can provide useful evidence and suggestions for the future of safety management in the hazardous chemical industry both within China and in other countries.